Thankfully, it is not a common occurrence, but sometimes, people need to deal with guests who just seem to drop in with little to no warning. Every host wants to create the most comfortable and inviting stay for their guests, but with little time to prepare, this can seem impossible. Instead of having days to clean and arrange and organize for guests, a person may have zero notice to get things ready for an impromptu visit. Even if there is no time to prepare, anyone can create a great space for their unexpected guests quickly and easily. Unexpected guests can feel comfortable and welcomed and hosts do not have to pull their hair out in the process. Anyone can use these ideas to make any space ready for company in a flash. Here are some ways to prepare for unexpected guests in no time. It is sometimes best to ask for help right away when down to the wire getting ready for house guests. Anyone can use Vonage Texas to call in the favors they need from friends and family, even to call in a fast cleaning service or a caterer to make a quick meal. This little bit of assistance can make a world of a difference. want to make sure that the impression is good. 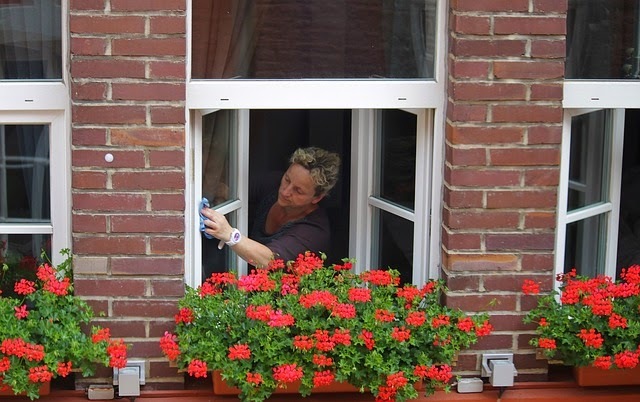 For example, having a completely clean home inside might be a loss if the outside of the home is completely filthy, because that is the first thing guests will see. After the first impression spots are taken care of, hosts can move on to the other items in the home that draw the eye. For example, in the living room people will most often look at the windows, TV and tabletops. Cleaning these items will make the entire room look better, even if no other items are cleaned. It is always a good idea to have some easy refreshments on hand for guests that come out of nowhere. Hosts can pull out these refreshments at the last minute and offer them without much effort. Some ideas are having a selection of tea and coffee, cookies or granola bars, or even a few alcoholic drink options. Most families will have some freezer meals either that they made themselves or that they bought from the store that they can make on busy nights. Hosts can use these items to make a quick meal for unexpected guests. To hide the fact that the food just came from the freezer to their plate, hosts can add things like extra seasonings, additional toppings, fresh side dishes or any other items that will add to the dish and make it look like a gourmet meal instantly. What are your tips for last minute guests?